A Microsoft-Certified IT company wants to outsource for lead generation so that its inside sales team could focus on converting leads into sales. It chose Callbox to handle the prospecting and appointment-setting campaigns that targeted manufacturing and distribution companies. Given the very specific objectives by the client and armed with an array of lead generation tools, Callbox immediately set out with a highly targeted contact list that eliminated prospects that did not qualify the client’s criteria. Satisfied with the results, the initial three-month contract was followed by a six-month term, which continued for five years. Find out how Callbox was able to consistently fill the client’s calendar with quality leads month after month for five years. A top Leadership Curriculum provider wants to maximize its manpower and software to improve its lead generation rates, cleanse its database, and increase lead conversion. It found the perfect partner in Callbox and its trusted marketing automation platform and lead nurture tool. Between its efficient data profiling efforts and successful event telemarketing, Callbox helped reach more prospects and ultimately increase the client’s lead conversion rates. The best part? The client now nurtures its own quality leads, thanks to the model Callbox provided. Here’s how Callbox’s seamless campaign did it and how much it benefited the client. A UK-based software and consulting company that has made a name for itself in business intelligence and data integration wants to expand its market to the other parts of Europe, the US, and the Middle East. But first, it needs to get better access to the users of its software in order improve its product development and come up with best practices necessary to gain traction for expansion. It sought the expertise and experience of Callbox in appointment setting in hopes of buttressing its credibility in the market. Find out how Callbox won over the client’s confidence to extend its services to a fourth term despite already getting the results they wanted. A Malaysia-based Marketing Consulting Agency grew a reputation having run several successful events for world-renowned companies like Intel, Microsoft, Bosch, Castrol, and Disney Channel. Instead of being complacent, it set the bar higher: expand and provide quality service to multinational IT and software companies. Callbox was happy to help it realize its modest ambition. Know more how much time and resources the client saved with the help of Callbox Pipeline Lead Nurture Tool. A leading provider of Cloud Integration and Supply Chain Integration Solutions has helped businesses simplify integration, automate processes and improve partnerships with its associates. This time it needs help. Although it has worked with several companies in getting itself new clients, long term engagement remained a challenge. When it first enlisted Callbox’s services, the client had low expectations, based on their experience with past providers: the first three months would be a test. Callbox took the test seriously. It profiled the lists accurately, match integration solutions perfectly, and employed the Callbox Pipeline Lead Nurture Tool to get clients to sign longer term contracts. Here’s how Callbox managed to convert a client’s “test” into “trust” that would spur a mutually beneficial business relationship. From apparel to food to semiconductors to farm freezers, this Hong Kong-headquartered supply chain services and logistics company has it. What it doesn’t have is the effective strategy to keep up with the dynamic industry and their equally-aggressive competitors. And then they learned about Callbox. At the end of the campaign, Callbox equipped the client enough to put it at a position where it stands the best chance to lead all competitors. Here’s how Callbox did it. An Australian-owned cloud, data center and connectivity provider operating in five of the Commonwealth’s six states has been facing an uphill battle acquiring new customers, especially its Sydney operations. To make things worse, its in-house sales and marketing departments were not equipped with the best tactics and tools to improve their bottom line. Soon, it came to Callbox for effective marketing solutions. To achieve a significant increase in lead generation, Callbox employed its multi-channel marketing program together with the Callbox Pipeline. Two months and three huge multinational deals later, the client saw its sales grow by 33%. For a job well-done, the client referred Callbox to its sister company. Everybody wins. Dying to know how Callbox managed to leave the client in awe, and consequently earned a referral? Read on. A major player in the telecommunications industry in Singapore, with clients from almost all sectors, wants to keep abreast and take advantage of internet protocol telephony technology to increase its client base without putting a dent on capital expenditure. Challenged by pressure to improve both ROI and customer acquisition, the client turned to Callbox. 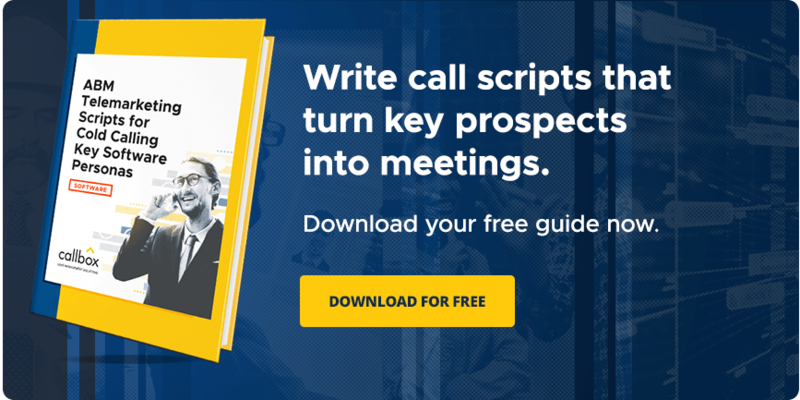 Callbox knew exactly what to do: Use its proven lead nurture tool to complement its efficient multi channel lead generation program to reach more prospects, generate more leads, and improve the client’s revenue. It’s not a question whether the campaign was successful. It’s HOW successful the campaign was. How did Callbox do it? Find out here. VIQ Solutions is a leader in Precision Transcription & Stenography services in Australia, providing quality and accurate professional transcription for events, meetings, arbitrations and courts throughout the country. The client wanted Callbox’s help to improve their lead generation campaign. Find out how Callbox seamlessly married its multi-channel marketing program with the client’s impressive business objectives to get optimum business results. The Client is a Singapore-based technology marketing company that provides a wide scale of marketing programs to some of the top medium-to-large companies across all industries. They’ve worked with Callbox for three years since 2013 on data profiling, survey taking, and creating a white paper. Callbox thoroughly examined the data available in the client’s existing data source and collected other relevant information at a rate of 91 percent. Callbox was required to probe into the minutest details of each data using a client-provided 11-question verification form. Callbox produced for the client a persuasive, authoritative, and in-depth report about its four technology segments: Big Data, Cloud Infrastucture, Desktop Virtualization, and Disaster Recovery/Business Continuity. See how the campaign helped improve the accuracy of the client’s data and promoted and highlighted the features of its products and services. A 40-year old industry pioneer and leader decides to take business a notch higher by widening its reach through trade exhibitions – an avenue that has always worked wonders for them. This time, however, they want more participants to exponentially expand their network and improve market growth. Callbox was more than happy to accept the challenge of getting more appointment settings for them. Know more about the specific strategies Callbox employed to come up with successful campaigns for an industry leader.